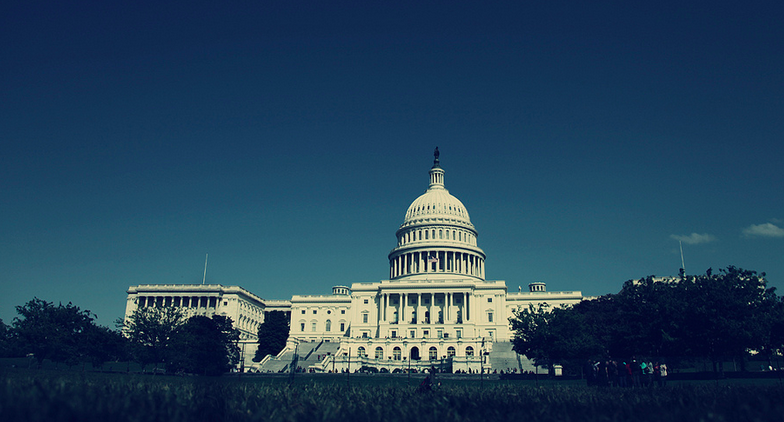 TNW has been covering cybersecurity legislation in the US Senate ever since the moment the Cyber Intelligence Sharing and Protection Act (CISPA) passed the house, tossing the ball into the higher chamber’s court. If you have been following TNW’s reporting, skip to the end of this post. For those of you a bit behind, and that’s no crime at all, this issue can be very dry and procedural, consider the following section a primer. CISPA passed the House with a rushed floor vote, under the weight of howling protests by privacy groups, citizens, and Congressional members alike. As with SOPA and PIPA, the Internet had been marshalled, but the House majority moved the vote along after a quick and abrupt amendment process, and the thing passed. To some that day marked the end of the Internet as we know it. Provisions in CISPA that allowed for the (comparatively) easy sharing of personal data of individuals to intelligence agencies, among other elements of the government had many worried. TNW spoke on the matter at the time. However, what few of the hoi polloi opposed to CISPA realized was that the bill itself was going to have a wildly rough time of passing. In fact, with a promised veto from the President, CISPA was a bit of an all but protest act, given its low chance of becoming law. However, the House has passed a cybersecurity bill, meaning that it was time for the Senate to follow suit, so that the two bills could be reconciled and sent to the President for signing. This is where we hit the quicksand. CISPA has no mandatory security standards for critical infrastructure. The House majority is opposed to them, as they view the mandates as nothing more than increased government regulation. That’s anathema to many. However, many, if not most of the Senate majority, and the Executive Branch, are in favor of these mandates, as they view them as key to protection, digitally, what needs to be covered. Given that we are discussing cybersecurity, that view is not hard to parse. Now, in the Senate, the leading bill for some time has been a law put forth by Senator Lieberman, which includes the standards that the House abhors. There has been work done by Senators Kyl and Whitehouse to drive towards a compromise. There is a deadline hanging over all of this: Congress is only in session for so long. And this Congress is moving towards an election. Senator Lieberman stated publicly that unless a bill was voted on and passed in July, nothing could get done with cybersecurity this session of Congress. Now, to the coming collision. There are only 11 days left in July. If the Senate cannot vote and pass a bill, that will then be reconciled with the House bill, in that time period, progress could be essentially stuck until after the elections, when a new Congress will be sworn in. With time running out for Congress to pass cybersecurity legislation this term, President Obama wrote an op-ed in The Wall Street Journal on Thursday, urging the Senate to back Sen. Joe Lieberman’s (I-Conn.) Cybersecurity Act. Obama writes that in future conflicts, enemies that cannot match the United States on the battlefield could resort to attacks on the country’s critical computer systems. He warns that a successful attack on a critical system could have devastating consequences. Thus, the President is urging the Senate to pass something that almost certainly can’t make it to his desk. This is either a dare to the House, to oppose the bill if it passes, or is an indirect push on the work being done to find a compromise. The President could be staking a position farther away from the middle than he might, just so that he can move towards the center, and appear to be compromising later. That’s politics. However, unless a compromise is reached that can pass both the Senate and House, we’re going to end up, possibly, with two bills from two houses that cannot be harmonized. Right back into the muck we go. Please don’t think that the Senate can roll over and just pass CISPA – recall that the President promised to veto that bill. So, various parties are calling for progress, but who will bend to allow the required compromise isn’t clear. And whether compromise can be met in time also isn’t clear. The final element to all of this is the clock. Time is rapidly melting. Therefore, as the President pushes afresh, the Senate is slogged, and the House expectant. That will all likely boil over come the time July ends. Get ready. Read next: Delicious makes drastic changes to its feature set. Scraps "stacks", replaces with good ol' tags.